Based in Motherwell, Scotland near Glasgow and Edinburgh - (M8 and M74) and serving the whole of Scotland. We have hot tubs at prices which are the most competitive in the UK. We provide Wellis and SuperiorSpas ranges of hot tubs that all offer unbeatable choice at affordable prices. We are confident of providing the highest quality, largest selection and best warranty and we believe the best value products in the UK. Premier HotTubs Scotland can repair and/or service all makes and models of Hot Tubs throughout Scotland. Please call us for more details. Premier HotTubs Scotland based in Motherwell, Scotland specialise in the highest quality hot tubs & Spas(sometimes known as Jacuzzis). We offer a great range of prices to suit all budgets and also provide a Hot Tub Hire Service for any type of party or event. Click here for more information. "Hot Tubs Scotland"
If you are looking to Buy or Rent hot tubs and spas, Premier HotTubs Scotland are a Scotland based hot tub suppliers. 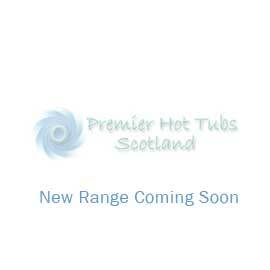 Premier HotTubs Scotland are aiming to be the Number One supplier of Hot Tubs in Scotland. We can provide many ranges of Hot Tubs, Hot Tub chemicals and Hot Tub accessories for anywhere in Scotland. We can supply outdoor hot tubs and garden spas - our hot tub are shipped from America to Scotland and are of the highest quality. So, for a premier supplier of hot tubs and spas in Scotland come and visit our Showroom, in Motherwell, Scotland. "Hot Tubs Scotland"
Premier HotTubs Scotland also perform hot tub Repair and Services in all areas of Scotland, for all models of Hut Tubs and Spas. Our Hot Tub Hire Service is also available around Scotland and is great for any kind of party or celebration. "Hot Tubs Scotland"
When searching the internet we hope you find Premier Hot Tubs Scotland Site, we find that most or our customers search for the phrase "Hot Tubs <<YOUR TOWN>>. We have added the following to help you identify areas we cover.